How Does a Divorce Settlement Affect a Chapter 13 Bankruptcy? In a divorce, the parties reach an agreement on how to divide any property held or acquired by the marriage. Once approved by a Florida court, this agreement forms a binding contract. But what happens when one of the former spouses files for Chapter 13 bankruptcy? Does bankruptcy affect the other spouse’s rights under the divorce settlement? A recent Florida bankruptcy decision offers some insight into these questions. The debtor in this case filed for Chapter 13 bankruptcy shortly after his divorce. Among the debtor’s property was a piece of real estate located on the Gulf Coast. In the divorce settlement, the debtor agreed to pay his ex-wife $50,000 for her interest in the Gulf Coast property. The final divorce judgment served as a lien against the property enforceable by the ex-wife until the debtor paid the $50,000. This amount was not paid prior to the debtor’s Chapter 13 filing, so the ex-wife filed a “secured proof of claim” with the bankruptcy court to enforce her rights. While bankruptcy is a creature of federal law, creditor judgments are still subject to applicable state law. Here, Florida law does not recognize any judgment lien until the judgment is properly recorded. As a result, the ex-wife’s lien currently applies to the 50 percent of the Gulf Coast property that she still legally owns. Her claim is therefore “not secured by property” of her ex-husband’s bankruptcy estate. So why does it matter if the ex-wife has a secured or unsecured claim? In a Chapter 13 bankruptcy, secured claims take priority and usually must be repaid in full. Not so with unsecured claims. Depending on the debtor’s income–and the Chapter 13 repayment plan approved by the court–unsecured claims may only be paid in part or discharged outright. 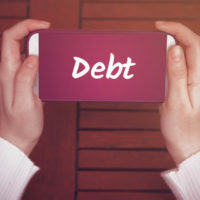 This is why, if you are a debtor contemplating bankruptcy, it is important to make sure you know which debts are secured by property and which are not. Prioritizing your debts is the first step towards developing a repayment plan that will ultimately be accepted by the court. An experienced Miami bankruptcy lawyer can assist you with this and other aspects of the Chapter 13 process. Contact the Law Office of Julia Kefalinos to speak with an attorney today.